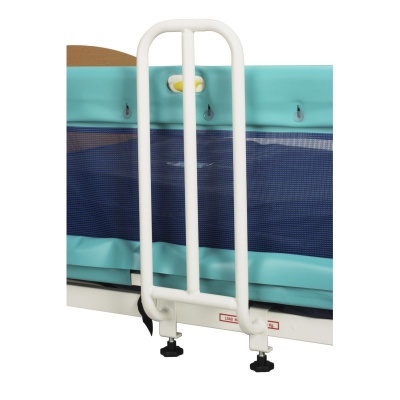 Patients with restricted mobility or a serious condition will often struggle to get themselves in and out of a bed without assistance, and a simple aid can often provide an important boost to independence. The Sidhil Solite Safe-Side Grab Handle provides that assistance, and is designed to attach to the framework of any Solite bed using the Sidhil Solite Safe-Side Mesh Side Rails. It can aid a patient's transfer to a wheelchair, commode or a standing position, increasing independence and reducing staff handling time. Please be advised that the Sidhil Solite Safe-Side Grab Handle is usually delivered within 1 week of your order being placed. We would advise you to consider this delivery estimation before placing your order. For more information, please contact our Customer Care Team at 020 7501 0592.